The Account Setup tab on the WD Portal allows you to edit and access the details of your portal account such as your first and last name, email address, and password. 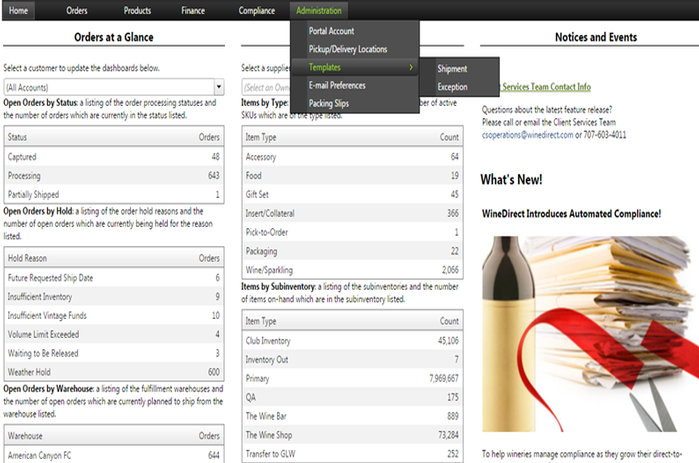 You can add the pick up location for your inventory, set up shipment templates, exception e-mail templates, control email settings & manage the Packing Slip templates. NOTE: The drop down menu in the Adminstration tab is by permission only. Some users may not have visibility to view all permissions. For assistance or questions with the Account Setup, please contact your Account Manager.